For a while, Marvel planned to bring the Inhumans to the big screen, even putting the movie on its roadmap. 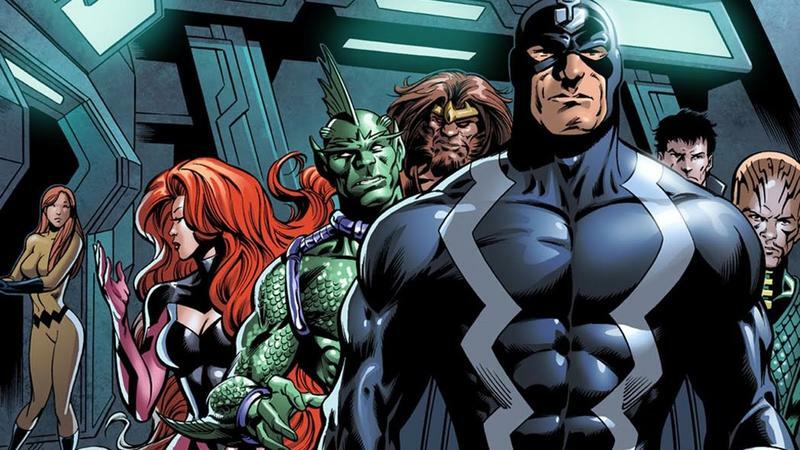 But, very slowly, the project began to take a back seat to larger projects, and after removing the film from its upcoming schedule, the studio now has more definitive plans in mind: Rather than make a movie, prepare yourself for an Inhumans TV show. The show's first two episodes will play exclusively in IMAX for two weeks before the rest of the season airs on ABC next fall. When it debuts, Inhumans will focus on the Attilan Royal Family, which includes Black Bolt, Medusa, and Karnak, among other characters. The show is a co-production between Marvel, ABC, and IMAX, a first for the company. According to The Hollywood Reporter, the show won't be a spinoff of the events from Agents of SHIELD. Although that show has built up the Inhumans mythos, the upcoming series, which will run 8 episodes, will be a much deeper dive into the characters and expand that world. An Inhumans TV show makes sense, especially because Agents of SHIELD has already featured Inhuman characters. Tying it all together should be fairly painless for Marvel, although it might further divide its TV and big screen properties. Regardless, it should make for some compelling TV. Marvel has a busy slate of TV shows set to debut next year, including its Netflix properties, Cloak and Dagger, Inhumans, and FX's Legion, among others. Look for Inhumans to drop on ABC in September 2017.